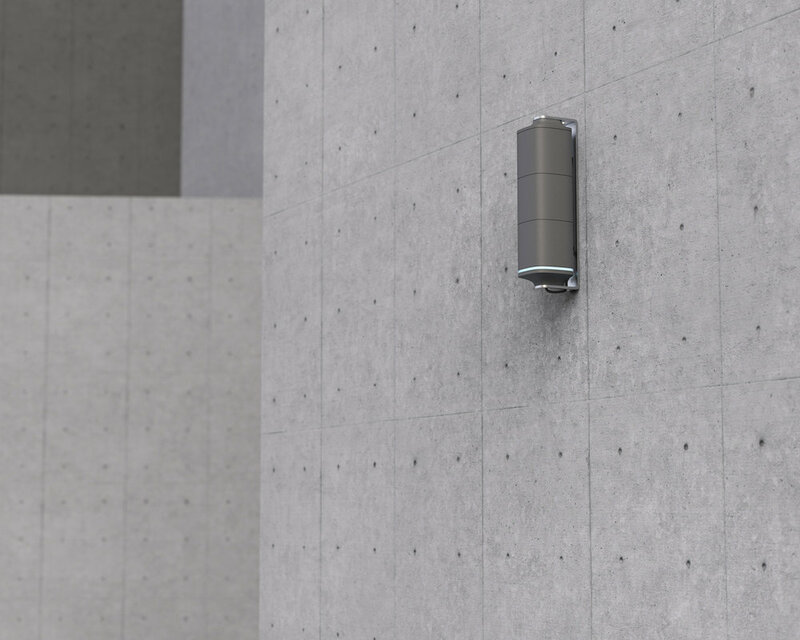 The Small Cells can be used e. g. for setting up a 5g infrastructure. Up to 4 modules can be connected vertically. 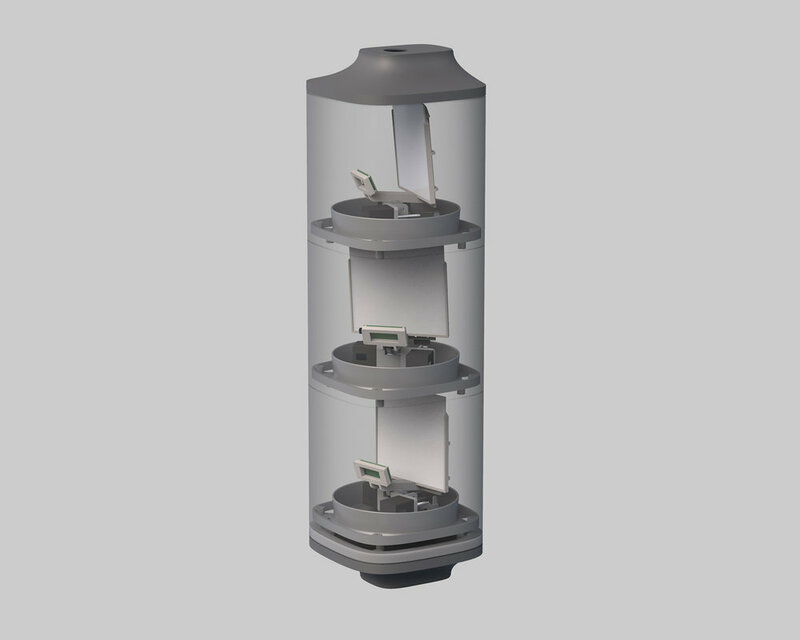 The individual modules are self-aligning and thus establish data connections with other Small Cells to form a wireless backhaul system.